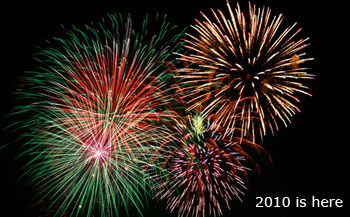 It is my prayer that you will experience the promise of God this New Year brings in 2010. Many of us are familiar with the story of Zacharias and the birth of John the Baptist found in Luke chapter 1. Below are a few extracts from the story. Zacharias was given the promise of a child (Luke 1:8-13). He doubted the promise and was made dumb (Luke 1:18-20). I doubt this was a punishment but rather a protection from his own disbelief. It does not help the cause of God when we go around telling everyone, including ourself, that God's promise will never happen. That is almost certainly what Zacharias would have done if left with the ability to talk. When the promise arrived Zacharias saw it, and probably held it, but notice that on the day of circumcision he was still dumb. Zacharias had living proof of God's promise but still did not experience it. Let's take another close look at the promise Zacharias received. There were two parts to the promise. The first part was God's responsibility - God would give Zacharias the child (subject of course to Zacharias fulfilling his husbandly duties). The second part of the promise was Zacharias responsibility - Zacharias had to name the child John. The promises of God often come with responsibility on our part. If you do not pay close attention to the promise you might miss your responsibility. But notice that there was another dimension to the fulfilment of this promise. Elizabeth had a role to play. Notice the vital role she played. If you do not play your role in the body of Christ others will suffer from your lack of commitment. What do you think would have happened if Elizabeth had played dumb and not protested in the face of her relatives misguided good intentions? Zacharias would have probably remained dumb. The letter of James tells us that faith without works is useless (James 2;20 NASB). How true this is? The promise was given to Zacharias. He had certainly shared it with Elizabeth. They both knew what God wanted but they still had to act. For them the works required was speaking out. The relatives had good intentions, yet they had no clue what God wanted. Do you have the promise that God will give you a new job this year? Then start completing your job applications instead of sitting down and feeling sorry for yourself. The same is true if you need to pass an exam - read and study hard. Need a healthy marriage relationship - stop acting selfishly. Our words and actions need to come in line with God's counsel for us to witness and experience His promise this year. It is my prayer that none of us will hold the promise in our hands without experiencing it this year. God has done His part - now it is your time to act.